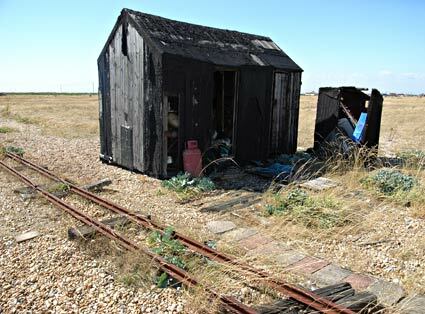 I spotted two of these long-forgotten narrow gauge tracks in Dungeness, running from the main road towards the shingle beaches to the east. Buckled and broken beyond repair, some of the rails had rusted straight through, and it certainly looked like they hadn't carried any traffic for a very long time. 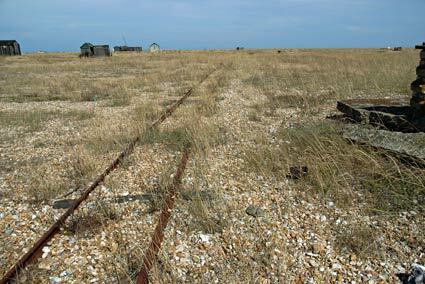 The tracks ran toward the shingle bank by the coast, and were - presumably - used to carry fish to road vehicles. 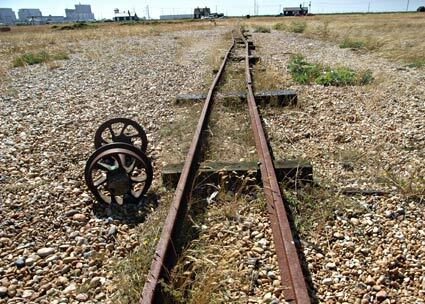 Asking around locally, I was told that there was no known history of these lines ever connecting with either of the two railway lines, so they must have been run in isolation, with the trucks being pushed by hand, cranked or pulled by horse power. Ian Jolly wrote to me with some useful information about the beach lines - cheers Ian! "They were used by fishermen to carry their catch across the single. There were several 2ft gauge lines plus a single 15 inch gauge line in 1978. On the single line I discovered a wagon from the former RHDR but it had been built in the late 1890's for use on the Duke of Westminster's Railway at Eaton Hall near Chester (closed in 1946 and all stock sold to the RHDR). I built another wagon which I exchanged for the ex EHR one! The 15" gauge line was in use at that time (1978)." 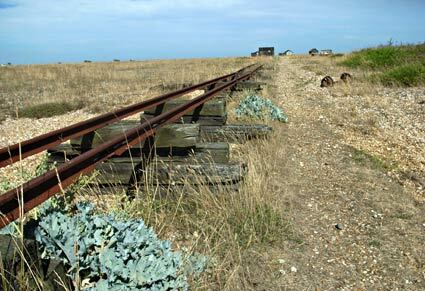 The (approx) 2 foot gauge track being held up rather precariously on old sleepers. 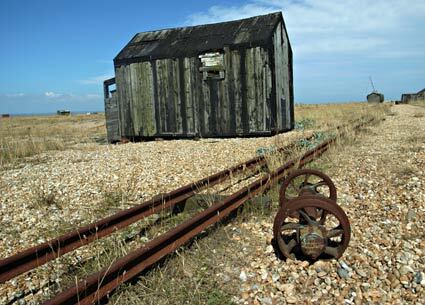 Track and discarded wagon axle. 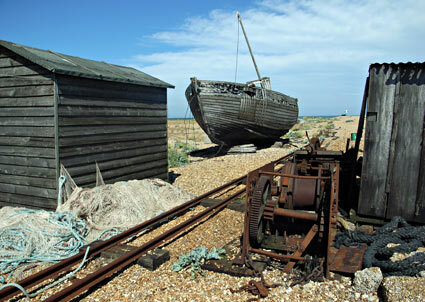 Old boat, hut and winding gear. Looking west with the power station in the far distance, you can see the poor state of the track. Another, totally separate, stretch of narrow gauge track could be found a short distance away.